Republican Florida Sen. Marco Rubio introduced a constitutional amendment Monday that would permanently fix the number of seats on the Supreme Court at nine. Rubio was joined by 12 other Republian senators in his effort, including Sens. Marsha Blackburn of Tennessee, Kevin Cramer of North Dakota, Shelly Moore Capito of West Virginia, Mike Crapo of Idaho, Cindy Hyde-Smith of Mississippi, John Hoeven of North Dakota, Mike Lee of Utah, Mitt Romney of Utah, Ben Sasse of Nebraska, Pat Toomey of Pennsvania, Steve Daines of Montana, and Todd Young of Indiana. The Democrats’ court packing proposal represents the latest shortsighted effort to undermine America’s confidence in our institutions and our democracy. America’s institutions are far from perfect. But over the past two centuries, they have provided a framework for our nation to become the most dynamic, most vibrant, and most exceptional nation in all of human history. 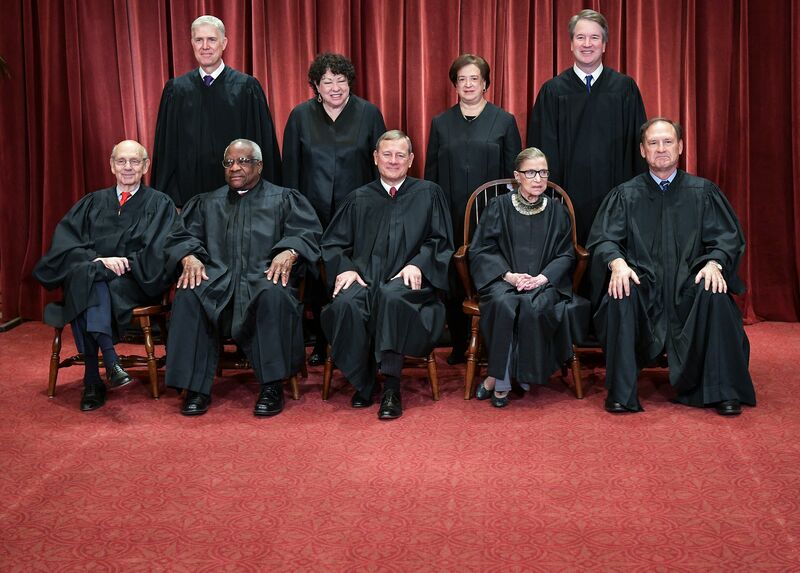 To prevent the delegitimizing of the Supreme Court, I am introducing a constitutional amendment to keep the number of seats at nine. Our institutions matter. Our Constitution matters. And we should fight to protect them. A Rubio staffer told The Daily Caller that Rubio is making a “serious effort” to codify the number of justices, adding that this is “not for show,” despite the significant requirements that a constitutional amendment must reach to be implemented. An amendment must pass through both chambers of Congress with a two-thirds majority and then must be ratified by three-fourths of the states to take effect. The staffer added that Rubio views recent push by some Democrats to add seats to the Supreme Court as a way they can “change the rules” after of President Donald Trump’s election and his appointment of Justices Neil Gorsuch and Brett Kavanaugh. Trump addressed “court-packing” as a Democratic presidential talking point during a press conference with Brazilian President Jair Bolsonaro last week.